Enjoy the timeless tradition of visiting Santa and having a keepsake photo taken with Santa in his Holiday castle. All children visiting Santa will receive a free gift! 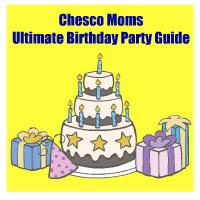 Plus, receive a Shutterfly Gift Card with any photo package purchase! Click here for Santa’s hours. Click here for photo package information. To receive this discount simply print this coupon and take it to the mall with you when you go for your photo. 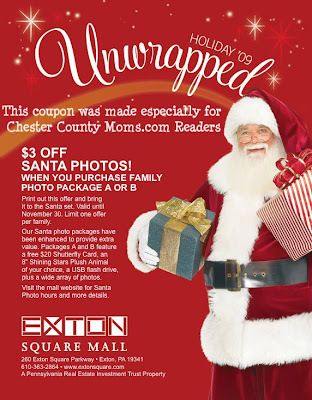 In cooperation with the Exton Square Mall management office, this coupon was made especially for Chester County Moms.com readers. 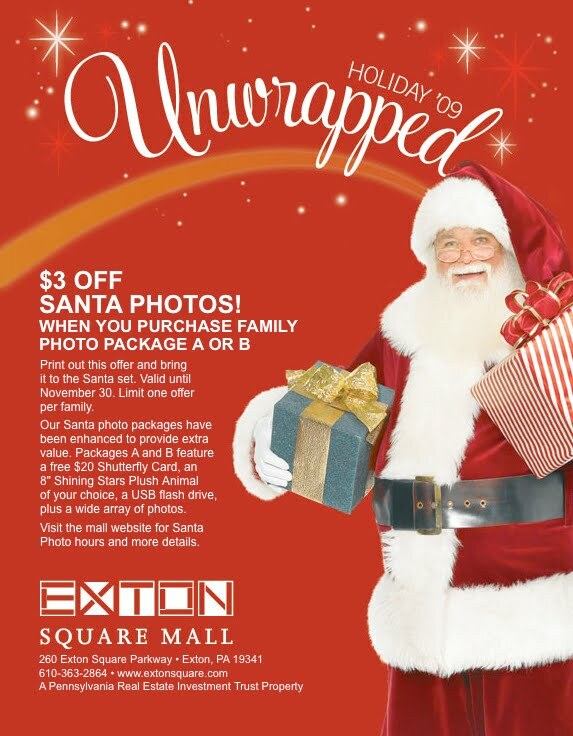 There are also great coupons directly on the Exton Square Mall website. Click here to view.